Many thanks to Melanie Linares for commissioning my very first Spoil Me! episode covering a movie! 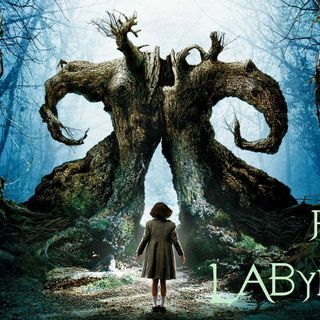 Although I was nervous about watching this, I was also very interested in Pan's Labyrinth for a long time and could never get up the nerve to watch it; my sensitivity to things involving torture is quite high and I wasn't really sure I could handle it. So when Melanie commissioned it, I was glad to have a reason to finally make myself watch it. This movie is...a lot. I start out the ... See More show not really sure how I felt about it as a whole, and kind of mixed up in my interpretations of certain scenes and themes. Obviously the art direction is top-notch, and the acting is wonderful, but there was something about it overall that I found kind of unsatisfying, and I kind of put my finger on it towards the end of the recording. Overall though, this movie is a work of art and well worth watching. Thank you again to Melanie for the commission, and thank you all for listening!